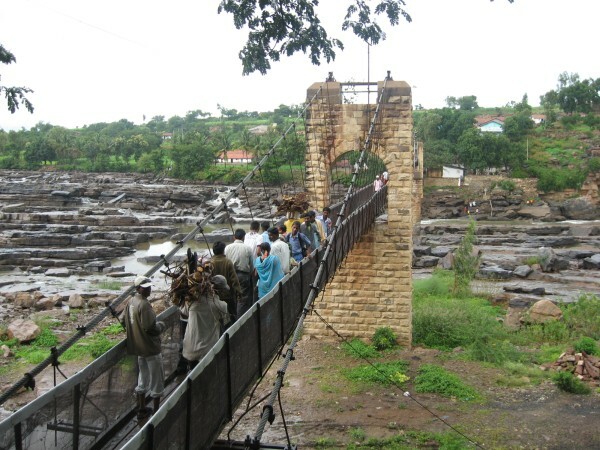 The number of people on the Suspension bridge at Gokak Falls is 30 only at one time. Last year DC had added as this is the peak season all care must be taken of the tourists and avoid any untoward incident. Infact the notice pertaining the same has been affixed there since ages but no one really adheres to it. Also DC added the toursist must be 10-15 minutes to come back. 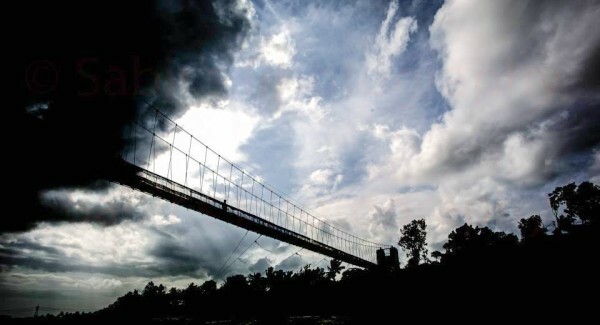 “The hanging wooden bridge” whose legacy goes back to British Raj. This bridge spans across 210 metres in length and was built across the Ghataprabha River in 1907 to enable workers from nearby villages lying on the other side of the river to arrive at work. 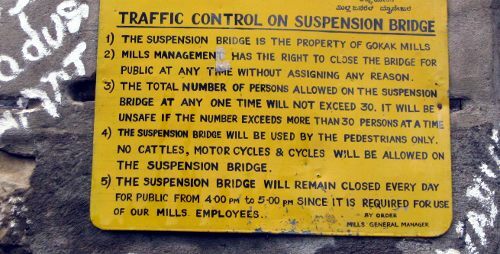 There is a need to put up similar notice in Kannada, Marathi and Hindi on both ends of this historic bridge.